How to Hang a Witch is a fantasy book that is also connected to the real life history of the Salem witch trials. The main character, Samantha Mather, or Sam as she likes to be called, moves to Salem with her stepmother Vivian. Her father is in the hospital, in a coma, but no one knows what caused him to be in a coma. Sam is descended from Cotton Mather who started the Salem witch trials, and is surprised when she meets “The Descendants” who are also connected to the trials, since their ancestors were of the accused witches. The Descendants are named Alice, Mary, and Susannah and they don’t like her at all, they even glare at her when they are in class. In the book, Samantha deals with a curse that has killed members of both the witches families and her own family. In order to stop, and break the curse, she needs to figure out how it all started. When she is looking around, she meets a classically handsome looking boy who turns out to be the ghost of a boy who recently inhabited the house. Sam finds out that the ghost’s name is Elijah, and that he has a big connection to the curse that afflicts her and The Descendants. The troubles start when it’s Sam’s first week in school, and she decides to offer pastries to her classmates to try and make new friends, just like her stepmother wanted. The class ends up getting sick and they blame her and her pastries, causing both the class and The Descendants to dislike her. This then leads the others to put Sam on the lists of suspects for all of the deaths going on. Sam later learns secrets about her past and even about close friends and family of hers that relate to her fate and the fate of her father’s coma. The author, Adriana Mather, is a real descendant of Cotton Mather who, like in the book, started the witch trials. She also descends from people who boarded and survived the Titanic. Adriana Mather usually uses her familie’s history in her writing; letting other people see through the eyes of her family to get a glimpse of their lives. Adriana Mather also has a second book, much like How To Hang A Witch. This second book of hers, has the same characters but has the plot of Sam being connected to the Titanic. Have you ever heard that the flap of a butterfly’s wing could make a hurricane if it flapped at the certain time? Well, some may say it’s not true, but this is the theory behind the butterfly effect. The butterfly effect is when one small decision, or action, may lead to an unforeseen chain of events. The term came from Edward Lorenz when he was doing experiments with a weather machine, where a small change in the speed of the wind affected the damage brought by the wind. 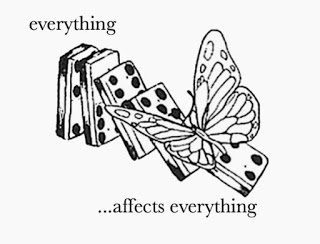 The butterfly effect is strongly tied in with chaos theory, which states that a small event can lead to a catastrophic chain of events. The butterfly effect has inspired movie producers by the mysterious way it works. 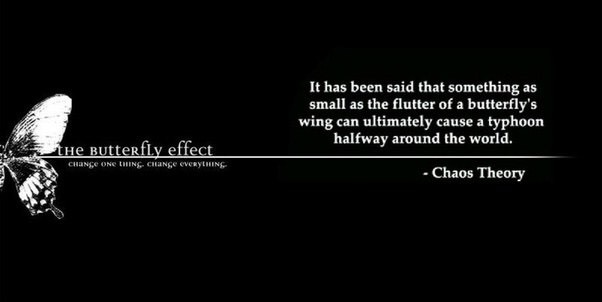 Screen writers and producers, Eric Bess and J. Mackye Gruber released the film, The Butterfly Effect which has several endings depending on which version you see. The movie stars Ashton Kutcher who plays a 20 year old college student who finds out he has the power to go back in time and go into his old body to relieve bad mistakes from the past but soon finds out each little change has a big impact for when he goes back to the present. When people hear about the butterfly effect there is often controversy around the fact if it’s real or not. Since the effect is something that is triggered by a small change, there is no indication that a big event would have been caused by it often causing people to dismiss the effect. All in all, the butterfly effect is a powerful but yet mysterious thing in society. Have you ever had someone ask you “what’s your zodiac sign?” or ever wondered what a zodiac sign even is? If we look into Western and Indian astrology, the emphasis is on space, and on the movement of the sun, moon, and planets in the sky through each of the zodiac signs (which is just a certain area in which the sun, moon, and planets are located during a certain month). Many people around the world love zodiac signs; seeing different compatibilities and using them to see how their week, month, or even year are going to be! But many people don’t know the history behind the signs. The word zodiac translates into “Circle of Animals,” and many believe that this word was created in ancient Egypt. Fire signs, Water signs, Air Signs, and last but not least, Earth Signs. There are 12 signs in total, each one based off of the earth’s daily rotation, which is why some believe that different signs thrive more during different seasons. Astrology wasn’t only used for predicting your love life or your friendships, the Ancient Greeks used these signs to predict the weather patterns or even wars that might happen. These techniques were mainly used by people with higher power such as kings and emperors. Many people may know that the zodiac table has also been taken and changed by China, using different animals to symbolize the years. These animals consist of: rat, dragon, snake, rabbit, tiger, horse, sheep, monkey, rooster, pig, dog, and ox. Benstock: an event where students of Highland Park join together under one roof to be able to watch their peers show off their incredible talents. The range of skills included singing, dancing, spoken word, and rapping; the students put on quite a show. Even teachers were a part of the show! Mr. Dirks, Mr. Berndt, and Mr. Rumsey performed together in their rock band, and it brought the crowd to its feet. Before the big night, performers would do mic and lighting checks, as well as doing a run-through of the show. Performers go over their dances, songs, and even skits, through the 3 days of rehearsal, and make sure that each move and note is perfect. When rehearsing on the stage, the director and stage hands guide the performers through stage directions, and make sure that every performer exits and enters correctly, so that the show goes smoothly on performance day. Rehearsal took place after school, and performers were free to go to different spots to practice their performances. When walking around the auditorium, you would see all different types of people and performances, going underway, and the students working hard to make sure their big day went well. “ I was super nervous about the whole show but I was also super excited too! 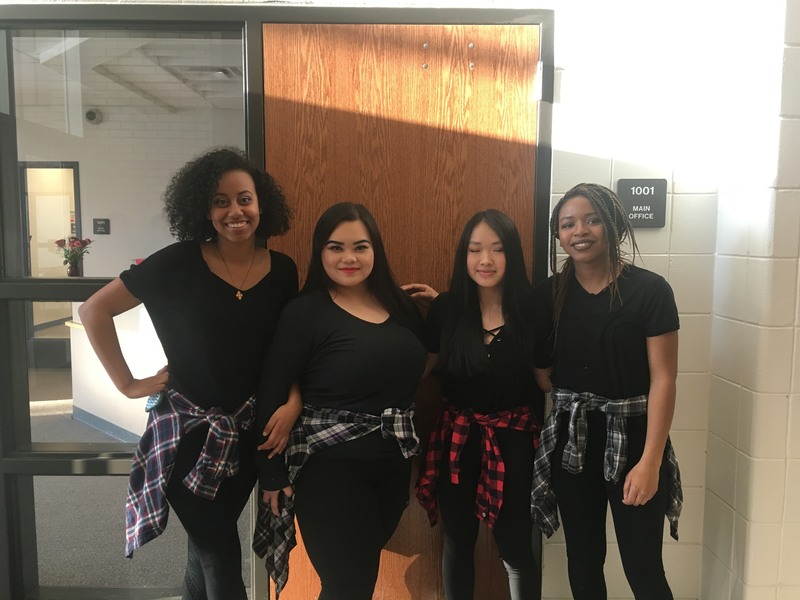 We had a lot of talented people performing and I just knew that it was going to be a good one.” – Calista Vang (Senior). The show was about three hours long with a short intermission in between for the performers and audience to be able to stretch out and get some food. The show started out beautifully with performer Danasja Hall, who showcased her singing skills to the crowd. Through the show we had a great magic act and also a beautiful spoken word piece. All of the acts were absolutely stunning and we could just tell that everybody in the crowd just loved it! 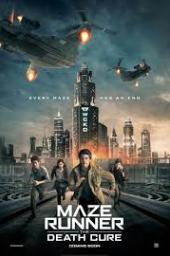 The Maze Runner trilogy is an amazing movie series which stars a main character named Thomas, who goes through the struggles of trying to find out who/what WCKD is. Unknown to the boys who travel through the maze with Thomas, each step they take into discovering who/what WCKD is, the closer they are to either freedom or dying. In the first movie, Thomas shows up in the Glade surrounded by a group of boys. 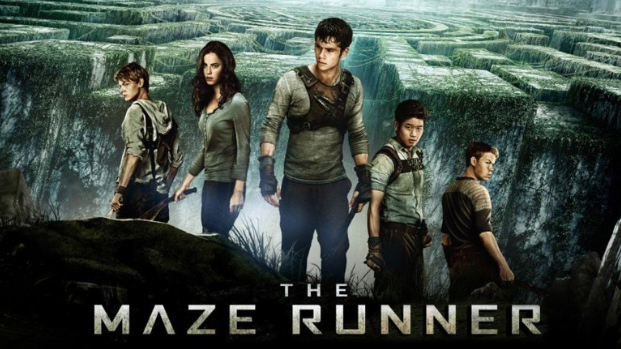 The Glade is a pasture in the middle of a maze that serves as a shelter to the boys. The boys are lead by a leader named Albi, who as said by Newt, was the very first to arrive to the glade. Thomas later meets the boys, and he finds both enemies and friends within the group of boys, and finds a connection with a boy named Chuck who serves as a sort of younger brother to Thomas. Later on, Thomas learns of the “Runners” who roam the maze, and memorize each and every part of the maze, and try to find a way out. They are specially chosen to run due to the fact that they need to be fast and intelligent. Grievers, who are a machine and monster mixed creature, that roam the maze at night, start coming out in the daytime, and Albi gets bit and dies. Thomas doesn’t follow the rules that are laid down for him, but in doing so he finds out the secret of the maze. Thomas and the boys including Theresa (the girl) escape the maze and it turns out that WCKD was the corporation that put them into the maze. The movie ends with the boys leaving the maze in a helicopter. 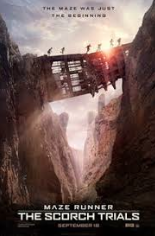 The second movie, The Scorch Trials, starts in the the facility where they put the boys to rest, but the boys don’t know that WCKD is part of the group that rescued them at the end of the last movie. Thomas then tries to escape the facility, but he starts getting flashbacks of him and other children in tubs. He then realizes he was a part of WCKD as a scientist, along with Theresa. Thomas makes a break for the exit as soon as he finds out the corporation who saved them was WCKD. The boys escape and travel into the Scorch, which is an area that challenges the boys in new ways. Thomas and the boys, including Theresa, meet new characters who help them escape the dangers of the both WCKD and the Scorch. As soon as they think they escaped WCKD, Theresa calls in WCKD. They come in, and a shootout takes place which leaves people injured. One of the boys is taken by WCKD, while Theresa leaves voluntarily. In the last movie, I won’t spoil much! But I’ll give a short summary. The Death Cure starts with a train delivering kids to WCKD getting raided by Thomas and the gang. Thomas fails to get the missing boy, but does succeed in releasing some kids. WCKD then tries everything in their power to get Thomas back, since he holds to the key to curing the Flare Virus. Overall, since The Death Cure just came out, I cannot say much, but it’s sad to see a trilogy that was popular, and an emotional journey for fans end. But I’ll say it ends on a good note. Exciting, unexpected, saddening, life changing all are words used to sum up 2017 in a nutshell. 2017 has been a year of such unexpected events, both good and bad, from world crisis’s to Prince Harry’s engagement announcement. Each year brings new possibilities to unfold throughout the months and the year; the events can take interesting cuts and turns. So here is a Top 10 of good things to happen in 2017 – just to clear up some of the negativity that has surrounded 2017. In February, Rhiannon Giddens (a leading actress in Nashville) partnered with Carnegie Hall Musical Connections program to run a music-education workshop for inmates at Sing Sing Prison. At a performance after the workshop, Ms. Giddens performed with a workshop student who had written a song about domestic abuse. He broke the color barrier in Major League Baseball and was a hero in the 1950s. For years, the Jackie Robinson Foundation, founded by Robinson’s family in 1972, has been working toward the goal of opening a museum in lower Manhattan, and in April, they started the process of bringing their collection of memorabilia to the public. Starbucks picked up on an eye-pleasing trend in April with its Unicorn Frappuccino, and it seemed like everyone followed suit—from Instagram foodies to bagel shops, rainbow-hued food has arched over 2017 like a cheerful milky way. Doctors have long been searching for ways to combat the influenza virus. And a frog that was recently discovered in Southern India may just be the key to a whole new way to do that. Scientists tested a gooey fluid from the frogs’ backs (NO ANIMAL HARM) and found an amino acid that literally makes viruses explode. The Women’s March in Washington D.C. had three times as many participants show up compared to a certain individual’s inauguration. Between 300 million and four million Americans protested in the streets at more than 650 marches nationwide. On January 24, 2017, a hippo, prematurely born 6 six weeks early, named Fiona, was born at the Cincinnati Zoo with health complications. Over time, she has grown stronger, as well as overcoming her health conditions, and she has made an impact on everyone everywhere by touching their hearts and proving you can really do things if you preserver. 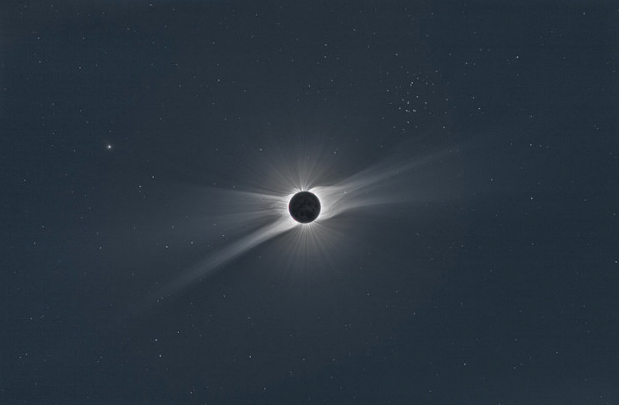 On August 21, people across the United States got to witness the first visible solar eclipse since 1979. For a few minutes, we got to look up and bask in communal awe at the wonders of the universe. If you missed 2017’s eclipse, there will be another one in 2024, which will slant Northeast from Mexico through New England. In September, America’s sweetheart Cardi B unseated Taylor Swift on the Billboard Hot 100 chart in late September. One month later, she broke the record for most weeks at the top of the charts by a solo female rapper, after Lauryn Hill’s “Doo Wop (That Thing)” topped the charts for two weeks in 1998. The best rap verse of the year also belongs to Cardi B (in my honest opinion). Prince Harry of Wales announced his engagement to Meghan Markle, making the next upcoming year’s preparations news. Maybe this will calm the Prince’s partying attitude down a bit? People who love their pups and kitties know that pets can lift your spirits and calm your nerves. But recent studies now offer scientific proof that interactions with dogs, cats, horses, fish, and even crickets can improve mental health over time. Christmas is one of the most known and celebrated holidays with all age groups. Christmas mostly comes from Christianity, and is celebrated each year, but what’s to stop it from being celebrated in other countries around the world? Each place celebrates Christmas differently: from the decorations, to how long Christmas lasts, to when it starts. 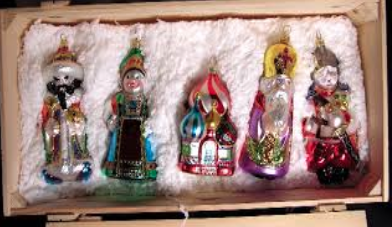 While most celebrate Christmas over a week, or two days, some celebrate it as a month longer festival which starts on November 26, and goes to January 6.; Russia, Serbia, Ukraine, Ethiopia, and other countries follow this tradition. In Russian, Grandfather Frost (known in Russia as Ded Moroz) brings forth presents to the children while being accompanied by his granddaughter Snegurochka. On Christmas Eve, people in Russia don’t eat until the first star has appeared in the sky. 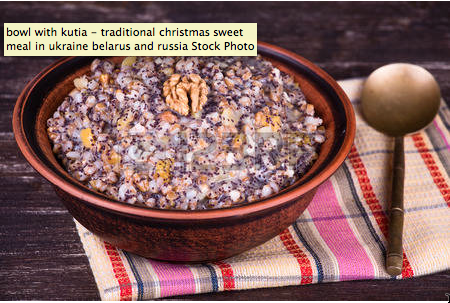 People then eat a traditional porridge called “Sochivo” or “Kutia” made of wheat or rice mixed with honey, poppy seeds, and fruit. People don’t eat fish or meat during their Christmas Eve feast. They eat Sochivo from a special common bowl, which symbolizes unity. Sometimes, families throw a spoonful of Sochivo onto the ceiling and if it sticks then that would mean a good harvest and good luck in their future. On Christmas Day, the meal consists of 12 meals representing the 12 disciples of Jesus. After the feast, and attendance to church, the kids go out caroling, and wishing a happy new year, which they’re usually rewarded with cookies, sweets and money. In Mexico, on December 16, through Christmas Eve, children often perform “Posadas” which is Spanish for inn or lodging. These celebrate the part of the Christmas story where Joseph and Mary went looking from somewhere to stay. The children sing to the baby Jesus for all the days leading up to Christmas Eve. 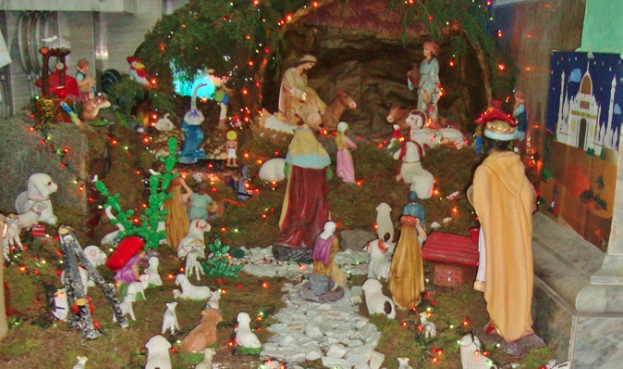 Each night a different house holds a Posada party and at the end, the last house they set out the baby Jesus in the manger and everyone gathers there to go to the midnight church service. After the church service, there is an arrangement of fireworks to celebrate the coming of Christmas. The outside of houses are typically decorated with evergreens, moss, and paper lanterns. A game often played at Posada parties is pinata, where the kids gather around and hit it with a stick while being blindfolded. 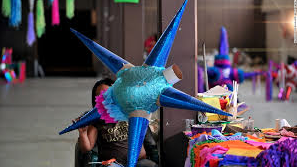 The pinata is often decorated with seven peaks and spikes to represent “The seven deadly sins.” A nativity scene, or in Mexico called “nacimiento,” which is a scene with clay figures, represents the gathering of Jesus’s birth. Poinsettia are known as the flowers of Christmas Eve and are bought at stores or even grown. On “el Dia de los Reyes” (Day of the three kings) kids often get gifts left by the three kings which are put into shoes left by the children. Presents can also be left by El Ninito Dios ( Baby Jesus) or Santa Clos (Santa Claus). Everywhere, around the world, Christmas is celebrated differently and often brings family and friends closer together whether it comes from just sitting down and eating together, to just celebrating this holiday which is important to them. Each different place has its unique way to celebrate; if its from food, to decorations, or ways the people give gifts, it’s all special, and a way to celebrate the Christmas spirit.